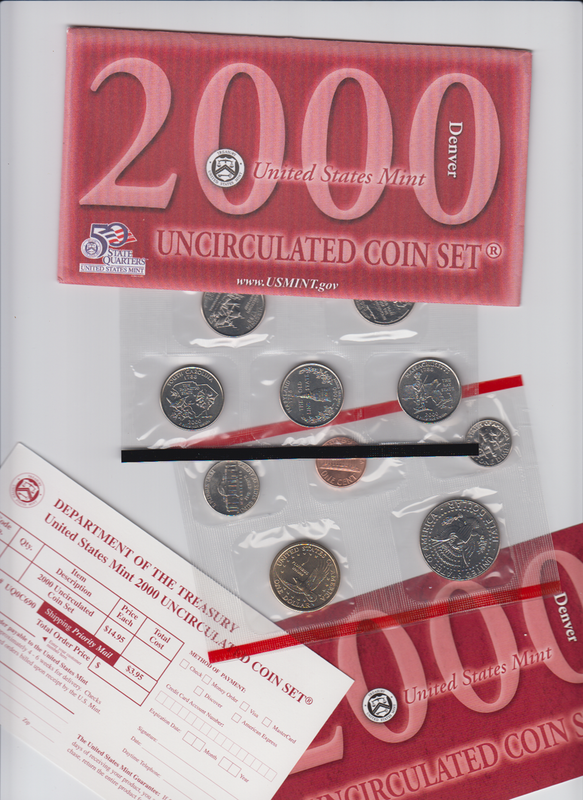 USA 10 Coins Uncirculated Set 50 State Quarters Denver (U.S. Mint, 2000) Buyer. 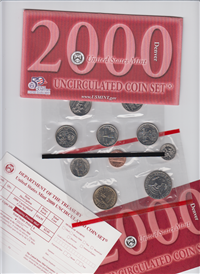 Includes 10 coins (5 state quarters plus dollar, half dollar, dime, nickel and penny) in two cellophane sleeves, and with information card, promo card, and red outer envelope. Face value is $2.91. Quarters include Massachusetts, Maryland, South Carolina, New Hampshire, & Virginia.